The ADaM Tire Order Management system is a powerful integrated enterprise solution for commercial tire dealers designed to help you provide superior customer service, effective inventory management, and critical assets management to improve your opportunities for growth and profitability. Based on the strong foundation of the Advanced Distribution and Management system, the Advanced Tire Order Management system extends the power and simplicity to tire dealers requiring a robust and complete business software system. 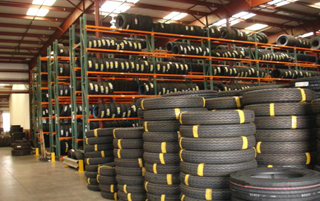 What are the important assets of a tire dealer? 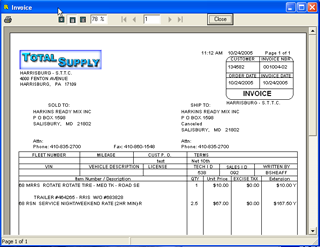 Inventory, Customers, Vendor relations, Accounts Receivable and Cash, Employees and Time. ADaM is designed to maximize return on all of your investments. How does ADaM integration help you? Since ADaM is one cohesive software solution, information is seamlessly shared between applications and users. If you are a retreader, ADaM allows you to track a customer's tire instantly through the entire process. Retread plant management is tightly integrated. National Account integration is available for major manufacturers including Michelin, Goodyear, Bridgestone/Firestone, and Bandag. This dramatically reduces double entry. Do you need to Get Control of Your Inventory? The ADaM system subscribes to the Effective Inventory Management concepts of Inventory Consultant Jon Schreibfeder. According to Mr. Schreibfeder, the goal of effective inventory management is to "allow a distributor to meet or exceed their customer's expectations of product availability with the amount of each item that will maximize the distributor's net profits." The ADaM system provides the management tools to reach this goal. You can control who has access to applications and information with ADaM security options. Control options allow you to configure how you want the system to work. We have implemented the latest relevant software technologies to make using the system as easy and efficient as possible. Print previewing and archiving can provide for paperless operations and tremendous cost savings. ADaM features date sensitive logic which enables you to process month, quarter or year end without interrupting your day to day activities. Fully integrated General Ledger saves hours of time and insures accurate accounting. Extremely flexible account numbering and financial report formatting provide you with an accounting system designed to look the way you want it to look. Your business will benefit from the strong accounting management in ADaM. Automated credit management, easy cash receipts entry, and A/R analysis allows you to manage some of your most important assets. 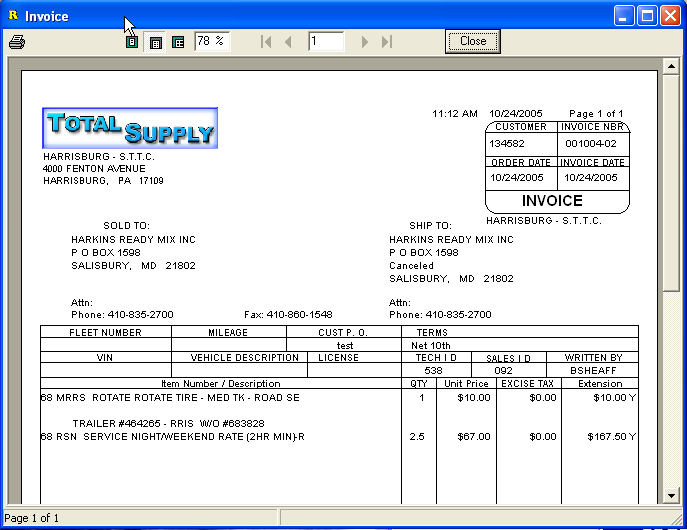 Flexible payment selection, purchasing interface and automated distribution makes accounts payable fast and easy to use. Because ADaM is so accurate and efficient, I have fewer employees to pay.